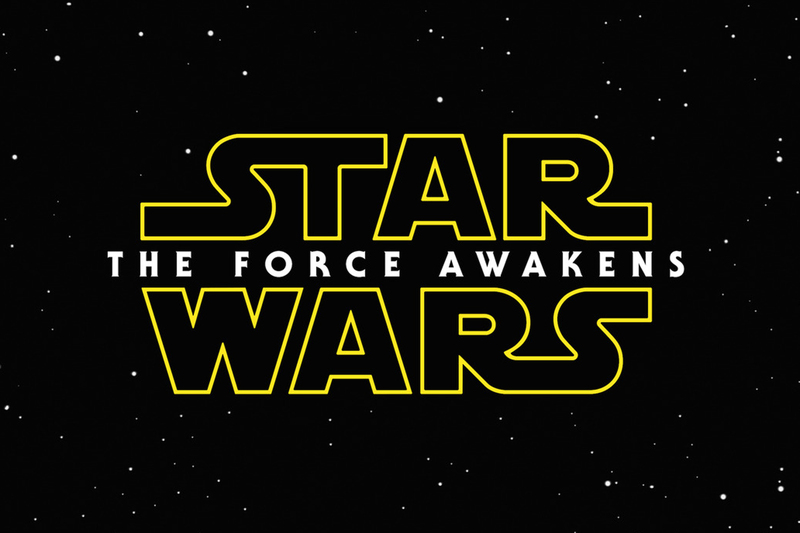 No doubt there will be a myriad of blog posts, forum posts, tweets and tumblr’s highlighting the new teaser trailer that was released today for Star Wars: Episode VII – The Force Awakens. I suppose this will be just one more added to the pile. Ignored by all but maybe a couple of people. Lost in the ever-advancing data stream of the internet. I consider myself lucky enough to belong to that group of people who were of the young age of 7 when the original Star Wars film was released. I have been a fan ever since. It was… magical. I’d lie outside at night, waiting to see starships glistening among the stars. I’d pretend that satellites were Star Destroyers chasing down Rebel blockade runners. I had all of the toys and played with them every chance I had. I simply lived Star Wars. To this day, there is nothing that compares to it and I still look up into the night sky every so often, remembering those days almost 40 years ago. What I’m having a problem with is the absolute hate. The vitriol that is spewed all over the internet about the new films. Folks who hate J.J. Abrams – hate what he did with Star Trek (which I happened to enjoy very much). Hate him so much that they have simply refused to acknowledge the new films. I just don’t get it. I certainly don’t idolize the man, but I have enjoyed pretty much everything he has been involved with. The fact that he went out of his way to emulate the original Ralph McQuarrie sketches and concentrate on physical creature effects rather than CGI. Undoubtedly this is a huge bonus to us fans of the original trilogy. Perhaps they resist change. I know I do. Can’t stand things changing. I refused to watch the new Battlestar Galactica because it was change. Starbuck and Boomer are women? Cylons were created by humans? What?! There are movies I’ve refused to have anything to do with because they were different than those I grew up with. What I didn’t do was get online and spew hatred everywhere. It’s fine to disagree, we all do, but to be so hateful and lack maturity – that’s rather silly. This new Star Wars? I don’t consider it so much as change, but rather a new chapter. A new chapter that takes place 30 years after Return of the Jedi. It will be very interesting to see what has happened to everyone in that time. Perhaps I’ve reached an age where hate and negativity are simply a waste of time. I tend to think that folks who are filled with this much distaste for something lead lives that are fairly, well… distasteful. They thrive on hate. They sustain themselves on negativity. They’re not happy unless they are absolutely miserable and letting everyone around them know just how miserable they are. They’re not happy unless they are bashing this and that – spreading their discontent all over the internet. Maybe they consider themselves “true fans” somehow. Maybe they consider themselves “better” than others. I don’t consider any fan of anything more “true” than any other. Either you’re a fan or not. You may have more stuff than others… you may know more about it than others, but that does not make you any better than those who simply enjoy it. Sorry to burst your bubble. The magic of nostalgia has been sparked once again by this promising teaser. I will enjoy these new movies immensely – perhaps not as much as the original as nothing can replace the feeling a seven year old kid has when first hearing the fanfare and seeing the opening crawl of the original movie back in 1977 – but I have a feeling that they will get as close as one can. I also have the added bonus of experiencing it with my wife. It will be our first time seeing a theatrical release of a Star Wars film together. Our two young boys will be experiencing their first Star Wars films in the theater as well. I have hope that they will have the same jaw-dropping, awestruck gleam in their eye I did. In consumer culture, new=better so the implied statement that’s made when a new version is released is that it’s always better than the old version. (Otherwise, why would they make it?) That’s hard to accept if you were a fan of the old version. Do comic book fans get this uptight about new treatments of beloved characters? I believe a certain segment does. Have you seen the reaction to the new female Thor? Wow! To me, it looks like it is being done right and is not some fly-by-night rehash. J.J. is a huge fan of the original movies, not some director who came in without knowing the source material (i.e., David Lynch and Dune) and creating his own spin on it. I feel he will be very true to the spirit of the original. Like I said, I’m not a real big fan of change and I doubt I will feel the same way about this new one as I do about the original, but it’ll probably come closer than the prequels did to recharging my Star Wars fanaticism. I think there are a couple of things here. The first is DEAR GOD MAN WATCH BSG! Except for the last half season (4.5) just, just don’t go there, okay? The rest was truly excellent. In terms of comics, yes people always go ballistic when you change what they have known. They want new-ish-like. I see it all the time as I watch comic book news, like a man window shopping his desired indulgence. The 2nd new Trek Movie was painful. So painful… The first one was great, but the second one for me… phoned it in, and it was a robo-call. As to the key matter at hand! I just didn’t like the trailer. I’ve been able to put my finger on it though. I think it was a critical mistake to have the word awaken in the first couple of words. We’ve just all read it, and to me at least, it came off as amateur and cheesy. “Something has awakened” Yeah smart guy, it’s the force that’s awakened, I just read it 2 seconds ago. Now I have much more faith that this is going to turn into something good than I do with the Fantastic Four reboot as that seems to be sliding down pretty quickly from all sounds of things, including not showing any promo or videos at recent conventions. Overall, I think you hit the nail on the head, Evan, that this really is another chapter in it. If they change a couple of things up, like this whole hubbub about “a black stormtrooper”, I’m good with it. Funny enough, my wife loved the BSG reboot. The entire DVD set has been sitting on our shelf for a couple years now. Know what is playing on my little DVD player sitting next to me right now? The original. I may have to try the reboot. Some great comments about the trailer! To be honest, I don’t understand the hubbub about the black stormtrooper. I really just don’t understand why people have a problem with it. ‘Course, I choose not to understand a lot of things. 😉 I think we are going to be pleasantly surprised and I’ll be going to the Hobbit strictly to see to the longer teaser. The Hobbit will simply be icing. You didn’t like Into Darkness? Just for that I’ll be blogging about it! As for the new Star Wars, I’m with you. From your description we are of an age and I loved the series from the start. I didn’t like episodes 1-3 but that was probably more to do with the writing & directing than the universe itself. Lucas appeared more interested in what the special effects could achieve and the merchandising opportunities than in the story itself. As for the new trailer, after the first few seconds I was grinning from ear to ear and had become that 7-year-old boy gaping at the opening credits of Star Wars at my local cinema all those years ago. I can’t wait to see how it turns out. I didn’t feel the same magic with the prequels as I did with the original trilogy, but I think the main problem I had was with the casting choices. I didn’t even really have an issue with JarJar, but Anakin was case completely wrong, IMHO of course. It’s hard to mimic the magic a boy felt during the originals, but I think these new ones will get much closer than the prequels. I went to see each one four or five times in the theater, but admittedly, it was for the audio more than anything. Pod races, space battles, and lightsaber duels really need to have that theater sound.